If you’re planning a camping holiday in Brittany, you’re probably looking forward to lazy days on the beach and exploring quaint seaside towns. But while you’re away, don’t forget your taste buds! Brittany is famous for tempting food and drink. With the freshest sea food in France, crepes and galettes galore, washed down with delicious local cider, what’s not to like! 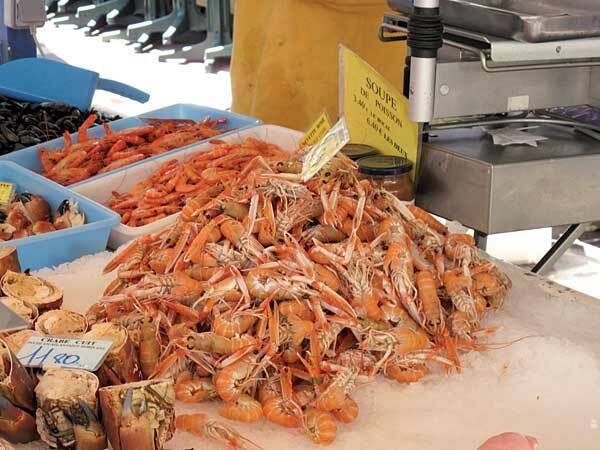 If you like fish and seafood, Brittany is the place to be, which isn’t surprising when you consider its geographical location. With coastline on three sides the opportunities to taste freshly caught fish are endless. Regional specialities include homard à l’armoricaine, which is lobster flambéed in cognac and served in a tomato and wine sauce with onions, garlic and herbs. You should also try Coquilles St. Jacques, scallops in white wine sauce with piped potato, and Cotriade the regional fish stew. You won’t have to travel far to find a thriving fishing village crammed with tempting seafront restaurants. To try a bit of everything, order a ‘Plateau de Fruits de Mer’. This will bring a selection of the best seafood available to share. Expect to sample oysters, scallops, mussels and crab which will be freshly caught that morning. In France, and especially Brittany, pancakes aren’t just served once a year! They are a cheap, quick and delicious meal which can be eaten whenever you like! The sweet crêpe is thin and delicate pancake which is served with a whole variety of delicious fillings, from simple butter and sugar or Nutella, to more extravagant sliced fruit with whipped cream. The galette is the savoury version. Made from buckwheat flour they are filled with cheese, ham or mushrooms, and often come complete with fried egg! Crêperies are an excellent option for an inexpensive meal. Service is quick and if you’re not full – order another one. 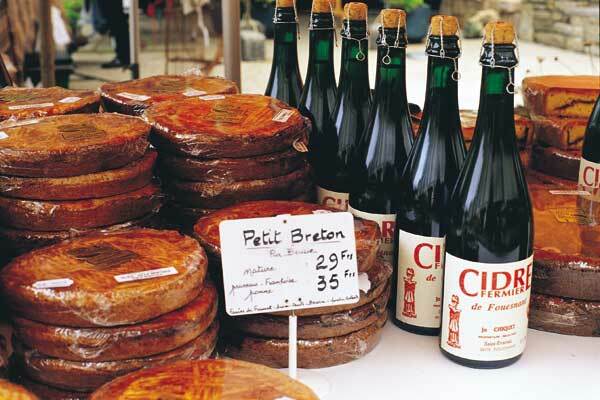 Cider is another highlight of Breton gastronomy. It’s brewed across the region and is available ‘Doux’ (sweet) or ‘Brut’ (dry). It is traditionally served in a bowl, and is different to the cider we are used to. Cloudy in colour with a lower alcohol content, it is delicious and well worth a taste! You’ll find both apple and pear cider widely available. A ‘Kir-Breton’ is a great aperitif, made with sweet cider and cassis. Brittany also produces lambig a kind of brandy made with cider, and chouchen, a honey based mead. Canvas Holidays offer a selection of campsites in North Brittany and South Brittany. Visit the website for more information and to book your holiday. Thanks! We love it too – if only there was a creperie in Dunfermline!